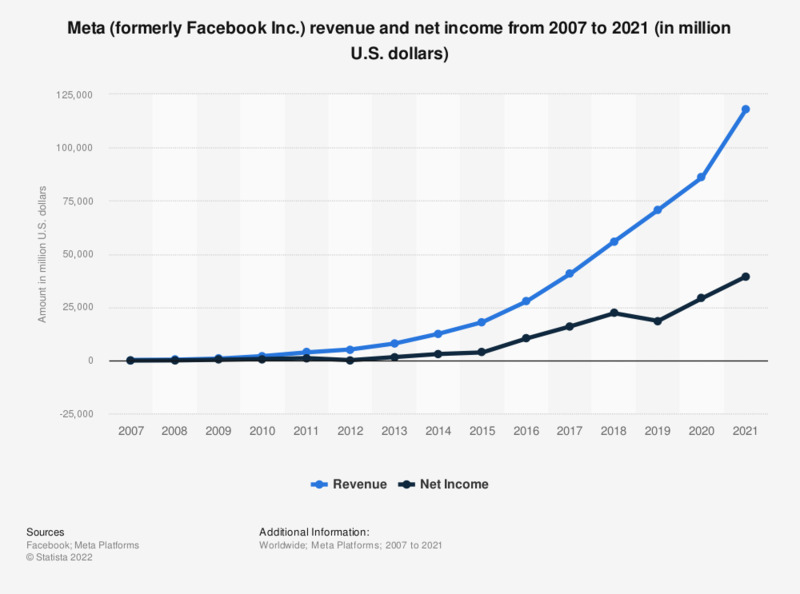 This statistic presents Facebook's revenue and net income from 2007 to 2018. Facebook's revenue grew from 7.87 billion in 2013 to 55.8 billion US dollars in 2018. That year, the social network accumulated a net income of 22.1 billion US dollars, ranking first among social media companies in annual revenues. The majority of Facebook revenues are generated via advertising - the shift towards e-commerce and online marketing has never been more evident than in 2016. Other revenue-generating factors are online marketing and online promotion during events such as the U.S. election in 2016, during which online advertising played a major role.